HOW TO BE AN ENTERPRISER offers a simple, yet powerful, message: You CAN BE an enterpriser too! 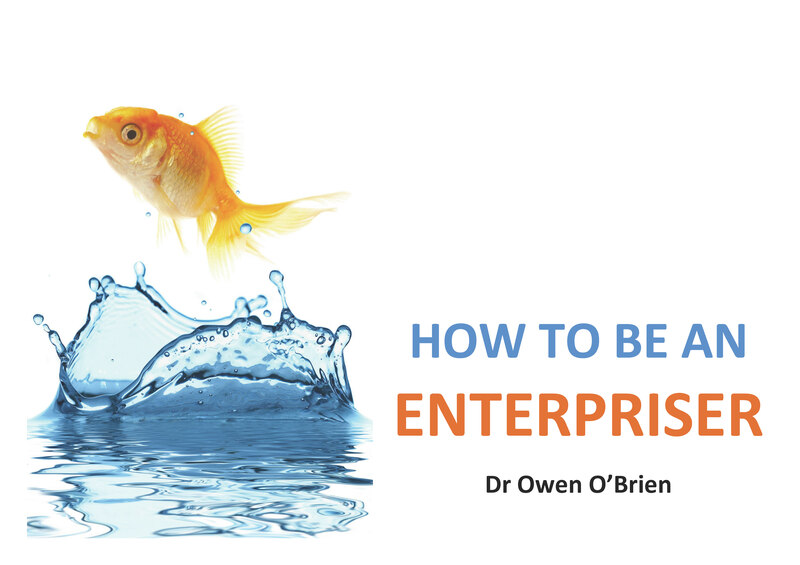 Combining decades of practical, real-life experience in business with rigorous academic research, Owen O’Brien sets out the key steps in starting and running a successful business. An ideal teaching tool for introducing self-employment and enterprise in school or college. Owen O’Brien studied business at university and so has three letters – DBA – after his name. Much more importantly, before that he spent more than 20 years running businesses out in the great wide world – with some success. He learnt a lot and wants you to know what he learned. Hence this ebook: HOW TO BE AN ENTERPRISER.